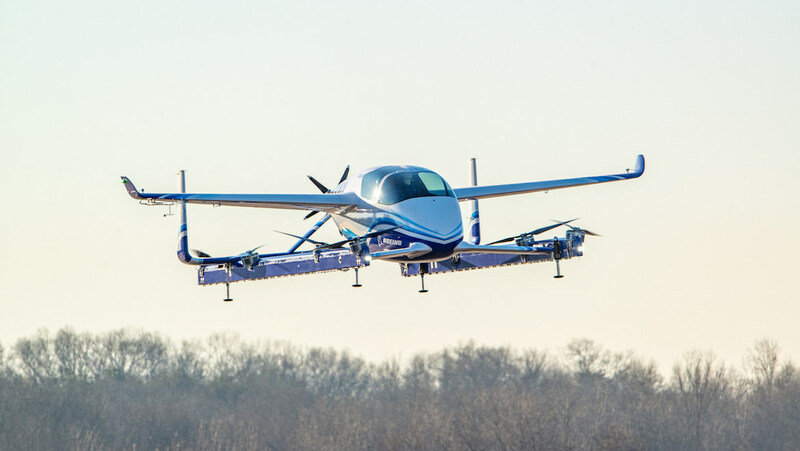 Boeing has released images of its autonomous passenger air vehicle (PAV) prototype making its first test flight. The event took place at Boeing’s Manassas, Virginia facility on Wednesday (United States time). 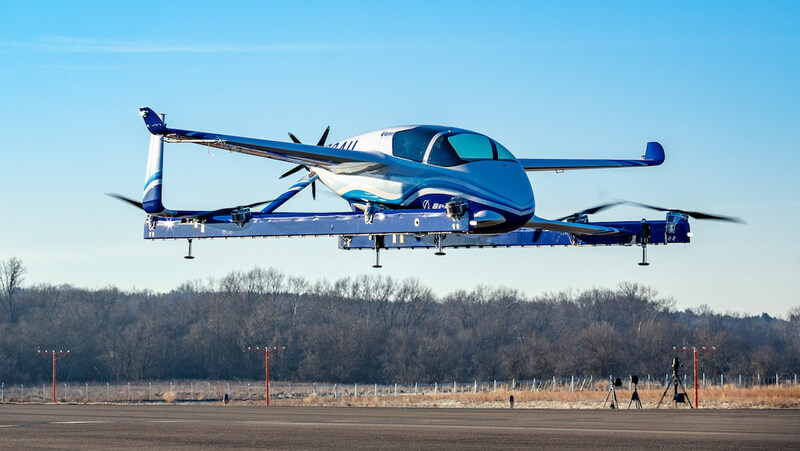 The prototype, which measures 9.14m in length and 8.53m wide, is an electric vertical takeoff and landing (eVTOL) aircraft designed and developed by Boeing subsidiary Aurora Flight Services. “Future flights will test forward, wing-borne flight, as well as the transition phase between vertical and forward-flight modes,” Boeing said in a statement. The aircraft has been designed with a range of about 80km and is powered by an electric forward propulsion. It can carry one passenger. Images released by Boeing showed a mannequin was placed in the passenger seat. Boeing chief technology officer Greg Hyslop said it took one year for the project to go from a conceptual design to a flying prototype. 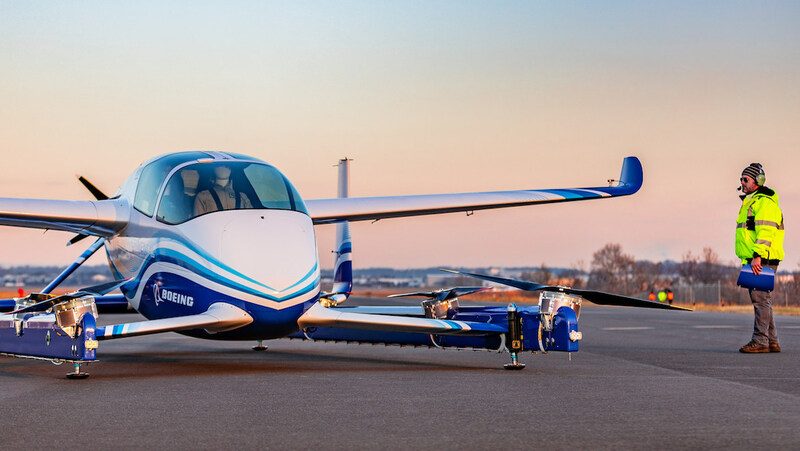 The autonomous passenger air vehicle project sits alongside’s Boeing’s electric eVTOL cargo air vehicle (CAV) concept that began flight tests in January 2018. The CAV is designed with a payload of 226kg for “possible future cargo and logistics applications”. Both projects are under the responsibility of Boeing NeXt, which leads the aerospace giant’s efforts in autonomous flight. The Boeing prototypes are among several research efforts in this are around the world, with the likes of Airbus, Uber and Zephyr Airworks, as well as carmakers, airlines and technology companies having projects in various stages of development. There have also been trials on flying air taxis in Dubai. And Rolls-Royce unveiled an electric vertical takeoff and landing (EVTOL) vehicle at the Farnborough Airshow in July 2018. VIDEO: A look at the first flight from Boeing’s YouTube channel. The July 2018 edition of Australian Aviation includes Denise McNabb’s feature on the commercial drone industry in New Zealand. The story can be read here.